EuroGrand is owned and operated by William Hill Gaming (WHG) International Ltd., a major player on the European gambling scene. The William Hill brand touts numerous award winning products but none more famous than their heralded online sportsbook, considered by many the top bookie in the world. Founded in 2006, EuroGrand has quickly emerged from the shadow of its almost century old parent company, establishing itself as one of the premier online casinos on the market. But don't think EuroGrand hasn't appreciated the connection to WHG as it led to their lucrative deal with the world's most prominent software supplier. 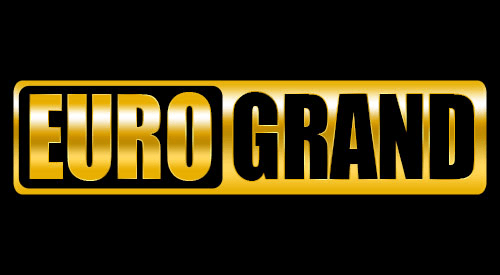 All of the games found in EuroGrand's desktop products are made by software giant Playtech, and are therefore built by the best designers money can hire. This partnership most likely wouldn't have been achieved had EuroGrand not touted the backing of WHG. Browser players with average internet speeds don't have to wait long for the software to load – everything should be good to go in around 30 seconds. EuroGrand's games can be played in-browser or, for Windows users, accessed using a downloadable client that is approximately 50Mb in size. While the firm doesn't have a downloadable equivalent for Mac OS, Apple users can enjoy Flash-powered titles online. Playtech and WHG are behind several popular online casinos, so experienced players will recognise elements of EuroGrand's back-to-basics interface from these sites. While the EuroGrand Casino lobby isn't full of animations, the client is easy to navigate and contains lots of information about games on offer. This type of added content is nowhere to be found at many competitor sites, and makes the product extremely user-friendly for new players. The site's top bar navigation is full of useful links to all the important pages. For example, players can quickly access Promotions, including a direct link to the VIP Club, from the nav bar to ensure you're getting the best deals on all your favourite games. Also, a live progressive jackpot counter sits on the homepage informing players of the current jackpot up for grabs. Given that EuroGrand is a Playtech casino, it's no surprise that the lobby is bursting with colourful slots and table games. There are 350 titles in the downloadable client, all of which can be played for 'real money'. Players must register a EuroGrand account to play for cash, and non-account holders are limited to 'free to play' trials only. Thrill-seekers will be pleased to learn that the casino has a good selection of progressive jackpot releases, including popular titles such as SafeCracker and Frankie Dettori's Magic Seven. The firm also offers several classic 3-reelers, so there's plenty for traditionalists to enjoy too. Premium European Roulette and Roulette Pro are the main draws in the site's table games section, and players can find multiple variants of blackjack and keno in the lobby. Although WHG is widely regarded as a quintessentially British gambling company, EuroGrand is aimed at a more international audience than its parent – this broad marketing strategy is reflected in the casino's 12 language options. Players playing with EuroGrand for the first time will be greeted with a generous Welcome Bonus that typically includes free spins as well. EuroGrand doesn't forget about their loyal players either, returning players can enjoy a wealth of promotions on offer at any given time of the year as well as a points system called 'Comp Points'. Comp Points can be gained £/€/$1 = 1 point and their value depends on your VIP level. Users who are struggling with any aspect of EuroGrand's products can access a dedicated 'Help' page that allows them to contact the company via phone or e-mail. Players who have downloaded the client can also use a live chat feature to talk to a team of friendly and knowledgeable staff. EuroGrand Casino offers lots of ways to deposit cash. The site provides a link within the navigation bar to a list of viable payment options including somewhat unusual methods like Diners Club International cards too. Tech-savvy players can use prominent e-wallets to make transactions, and can even pick up a bonus for straying off the beaten path. While this broad choice of providers will meet most needs, UK customers can also make EuroGrand deposits at their local William Hill outlet. Winnings can be withdrawn from EuroGrand Casino using one of 12 options, most of which update players' bank accounts within two weeks. EuroGrand is licensed by the Gibraltar Regulatory Authority (GRA) and the UK Gambling Commission (UKGC). The company's staff are also trained to screen for fraudulent behaviour and underage gambling. While EuroGrand does not design the games it provides and cannot be held responsible for random number generation, all Playtech software is regularly scrutinised by independent third-party labs to ensure fair play. EuroGrand Casino might be considered second fiddle to the parent company's prize, William Hill Casino, but one quick trip to EuroGrand Casino and most players will realize the two sites compare favorably in terms of quality, game selection, and overall user experience.